In our culture, there’s a lot of pressure to be thin. The media distorts our image of what “healthy” looks like. Models and actresses seem to set the benchmark for “normal” weight. Pressure can also come from family, friends and coworkers. Our society idealizes appearance and weight so much that even people who really are at a normal weight begin to think they need to drop a few pounds to be happy. But for others, weight management is a real health issue. Obesity is associated with a number of serious health conditions and contributes to approximately 300,000 deaths in the United States each year. You’re probably aware of the possible health consequences of obesity. Heart disease, stroke, diabetes and cancer are among the potentially lethal health problems associated with being obese. It can also lead to fertility problems, bladder control issues and psychological problems, including low self-esteem and depression. We constantly hear all about the benefits of weight management and the health problems associated with being overweight or obese. But knowing why you should manage your weight isn’t really enough. When it comes to lifestyle behaviors, people often set goals for themselves without understanding their motivation. Maybe their doctor told them they need to lower their blood pressure or their spouse has been nagging them to quit smoking. It’s the same for weight management. You may know that you need to manage your weight, but how much do you really want to change? Are you truly ready and willing to do things differently? People decide to lose weight for a number of reasons. Sometimes, they want to lower their risk of developing one of these conditions, but often they just want to look better, feel better and have more energy. Regardless of your initial reason to manage your weight, you stand to benefit in many ways by learning to manage your weight effectively. Think about how your life could be improved by changing your eating habits. How do you think you will benefit now and in the future? 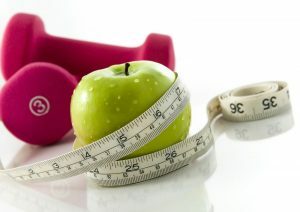 In part two of this blog post, we’ll discuss calories and how to get creative with exercise.